NOTE: Niacin may cause temporary flushing, tingling, skin reddening, and sensations of heat, especially if taken on an empty stomach. This is a natural and harmless reaction. Suitable for vegetarians. 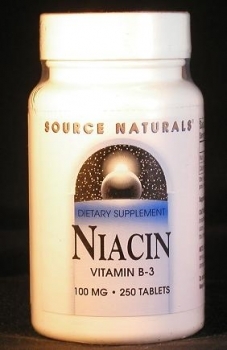 Vitamin-B-3 (niacin): Your cardiovascular health depends upon it, and so does your mind. reliance on corn as a staple food. and simply to serve as cheap insurance against the mental and physical lapses that could result from minor and temporary niacin deficiencies.